Are Small Business Owners Being Treated Fairly? Dwight D. Eisenhower, commander of the Allied forces on D-Day and the 34th President of the United States, once said, “What counts is not necessarily the size of the dog in the fight – it’s the size of the fight in the dog.” Since this is a principle that focuses on size, I thought it would be interesting to consider how it applies to the size of businesses. Even better, let’s take a look how Eisenhower's quote applies to the folks who own or operate a small business in America. SMBs are small by definition, and many of the people that run them are fighters by the very nature of the vocation they chose. One reason they are determined is that they have to be. Fair or not, many SMB owners believe that, although the elected officials who are supposed to be representing them should be fighting right there by their side, not all of them are. Businesses that publicly proclaim their political preferences take a huge risk in today’s polarized electoral system. For small and large businesses alike, it’s about as safe as playing with matches in a munitions factory. Still, there is a prevailing sense of unfairness for many small business owners. Where does it come from? The answer is complicated. But we can at least look at a few facts that may trigger some ideas on what we can do about it. Every presidential election in recent history has set higher campaign spending records – that is, until 2016. Both 2016 candidates spent significantly less than their counterparts did in 2012. Surprised? So is everyone else. Consider the last two presidential campaigns: Clinton’s total 2016 expenses were $565 million compared to $775 million spent by Obama in 2012. And Trump paid out $322 million in 2016 compared to Romney’s $460 million in 2012. If you find this unusual, you’re not alone. But here’s a trend that did not change: the vast majority of the money came from large donors who either contributed directly to the candidates’ campaigns, or through the now all-too-common “super PACs.” How many of these donors had the growth and prosperity of American small businesses high on their agenda? I think we all know the answer to that. Whatever we think of the current administration’s policies, I think most of us will agree that politically, things are happening fast. Really fast. So fast it’s very difficult to analyze the short-term or long-term effects of the new tax codes, across the board deregulations, or even the burgeoning stock market. This is especially true if you factor in that the resulting benefits or consequences will be heavily dependent on both your current and future financial position. Will the new tax codes and deregulations create more special interest and lobbying groups? Will the tax cuts create more spending money for the middle class? Yup, it’s complicated, and not enough time has passed since the new administration took office to draw any concrete conclusions. But we can create some relativity going forward by examining some of the facts published throughout the previous administration’s tenure, and how they relate to small business. The following statistics were published by www.represent.us, a not-for-profit watchdog group that has advisors who span the political spectrum. They range from progressives to Tea Party conservatives. Despite the differences in their political beliefs, they all seem to agree that maintaining a balanced capitalistic field for all businesses to play on has not existed for some time. So be aware that some of these may surprise you. ♦ Over 50% of the working population works in a small business. ♦ Small businesses create 4,000 new jobs on an average day; that’s 90% of new jobs in the US. ♦ In 2012, large business associations spent $188 million on lobbying, 22 times more than small businesses did ($4.5 million). ♦ As recently as 2010, there were 30 major companies that spent more on lobbying than they paid in taxes. ♦ In 2012, 43 huge corporations were subsidized by the federal government, which led to a minus (-) 8.9% tax rate for them. ♦ Those same 43 companies saved $3 billion, thanks to their lobbying efforts, resulting in a 3,400% ROI. ♦ Small businesses contributed $5 million in political donations in 2012 and paid an effective tax rate of 15–30%. ♦ And again, those 43 large companies donated $102 million and paid an average tax rate of -8.9%. Do you think things have gotten better since this information was published? I have neither the time nor the inclination to vet how factual this data is. But I still find it to be pretty disturbing. My real objective here is to employ every resource I have to support US small businesses, regardless of what their owner/operator’s political beliefs are. It all comes down to making sure we are being treated fairly. SMBs in this country are 28 million strong and deserve to be heard based on the considerable contributions we make to the economy and our communities. This includes making sure our lawmakers serve as the representatives they were elected to be and not just solicitors of contributions. As far as applying the same rules for all businesses regardless of size, it’s not important what your political affiliations or beliefs are. 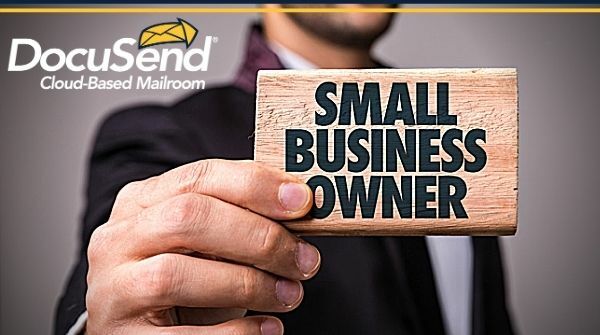 As small and medium-sized business owners, we don’t deserve, nor should we expect, special consideration of any kind from our elected officials. But we can and should expect to be represented based on the vital role we play in our nation’s long-term economic success, regardless of the size of our individual businesses. We should all appeal to our fellow “dogs in the fight” to start at the local level and find out not only if the leaders in our districts and communities support small businesses, but what their strategy is and how they intend to achieve it. That’s the way capitalism actually supports a democracy. As always, thanks for taking the time to read my article. This is one that affects all of us, and I welcome your comments and insights. Remember, the best way we can predict our future is to create it.